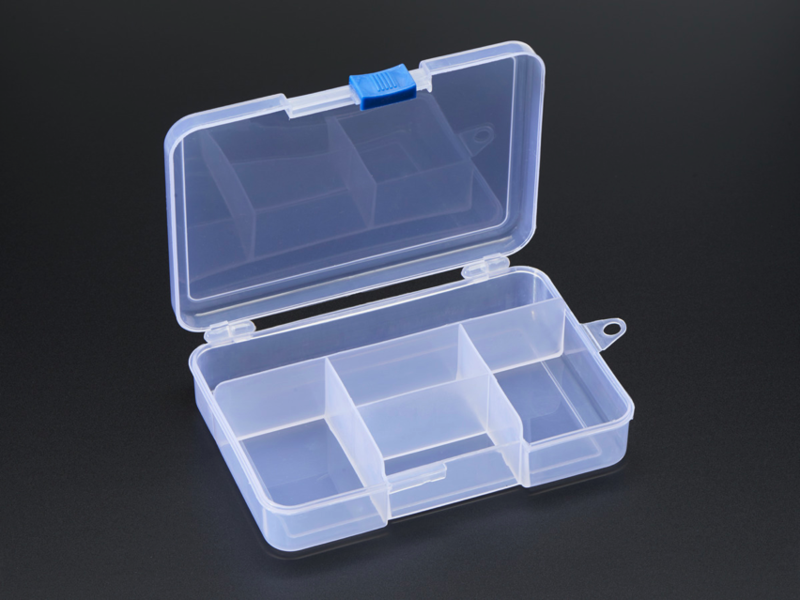 NEW PRODUCT – Latching 5-Compartment Storage Box « Adafruit Industries – Makers, hackers, artists, designers and engineers! Storing your components in old Adafruit shipping boxes is a fine way to keep organized, but our black boxes make it hard to know what’s inside! 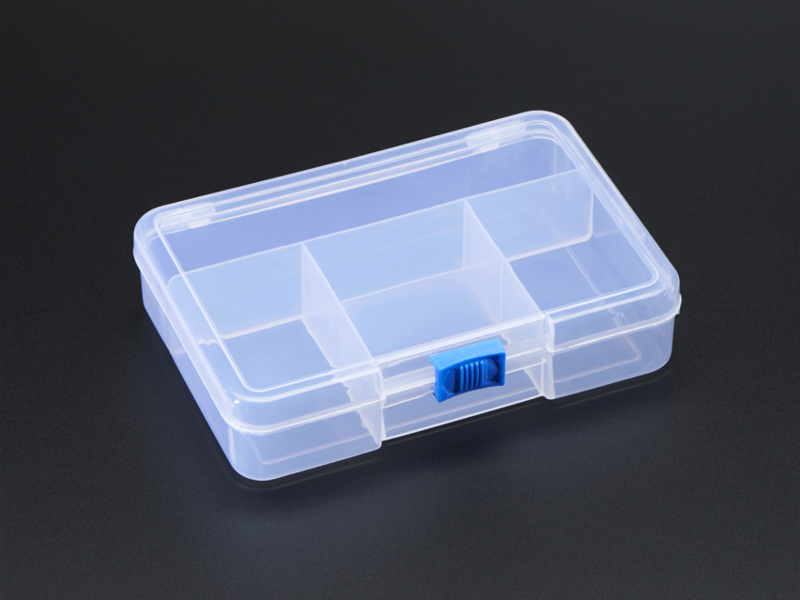 Well now you’ll always be organized with this transparent plastic 5-Part Storage Box! 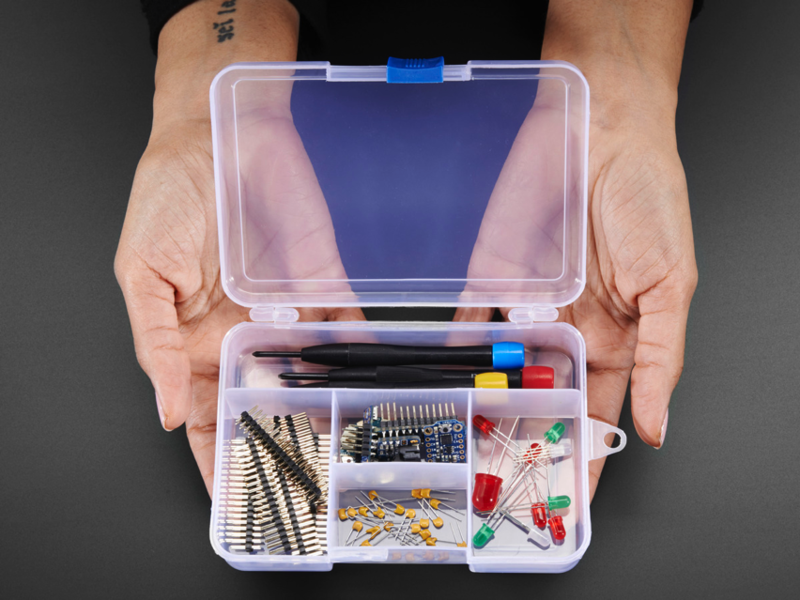 We love this simple little box and it’s our preferred way of storing larger-than-SMT-but-smaller-than-Arduino components. 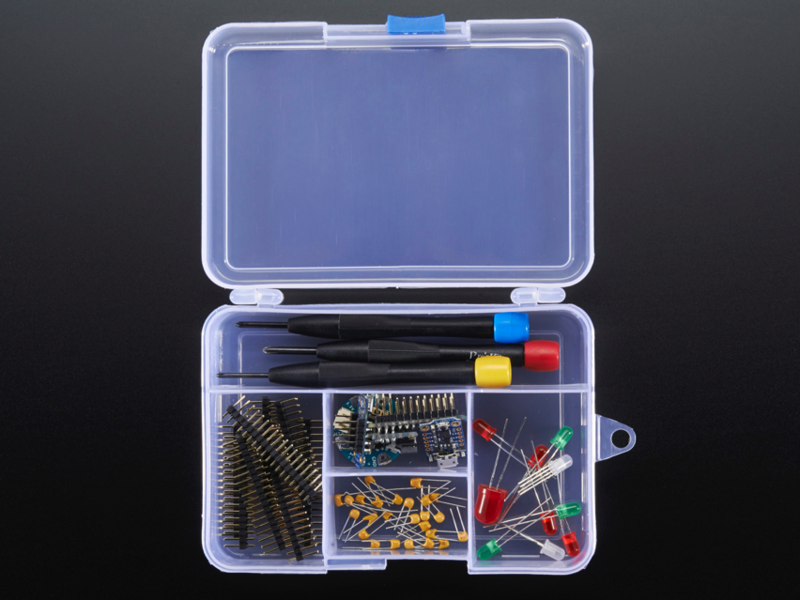 Comes with 1 box, additional components are not included (You’ll be supplying those).